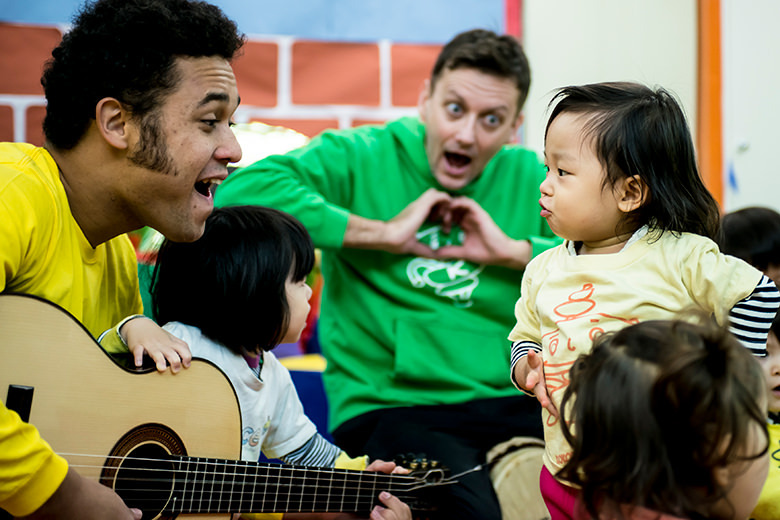 Are you hoping your child will begin to learn English or improve their English language level? 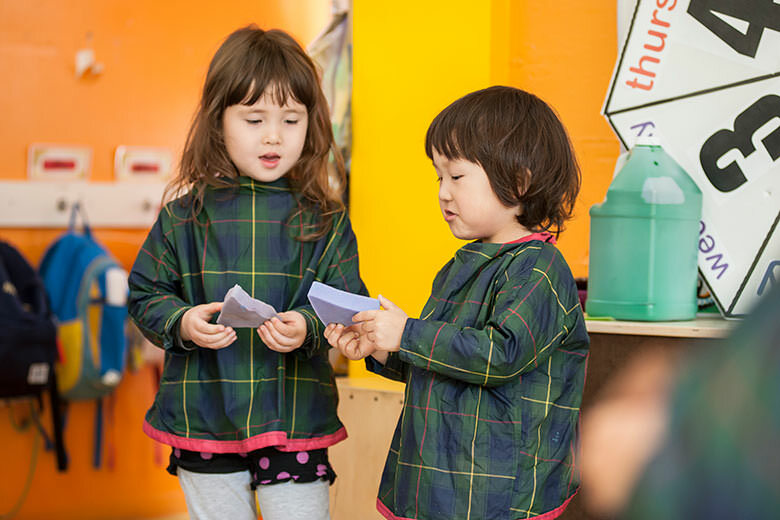 Or perhaps you have a native/bilingual child that does not go to international school midweek? 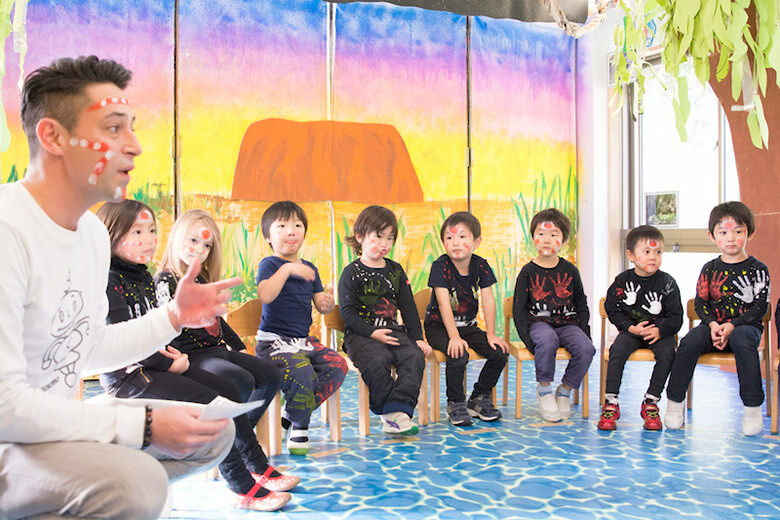 Whether you are an expat, Japanese or multicultural family we have the perfect programme and support for you and your child! 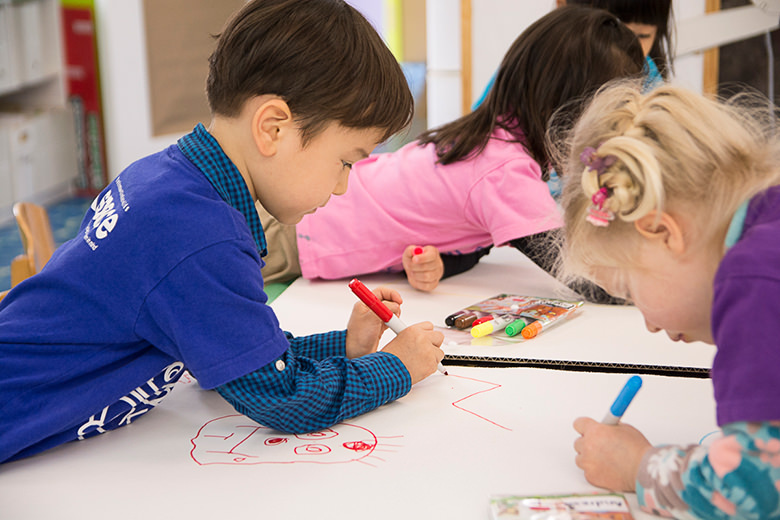 One visit to Kspace Saturday school is enough to convince parents they have found the right place! 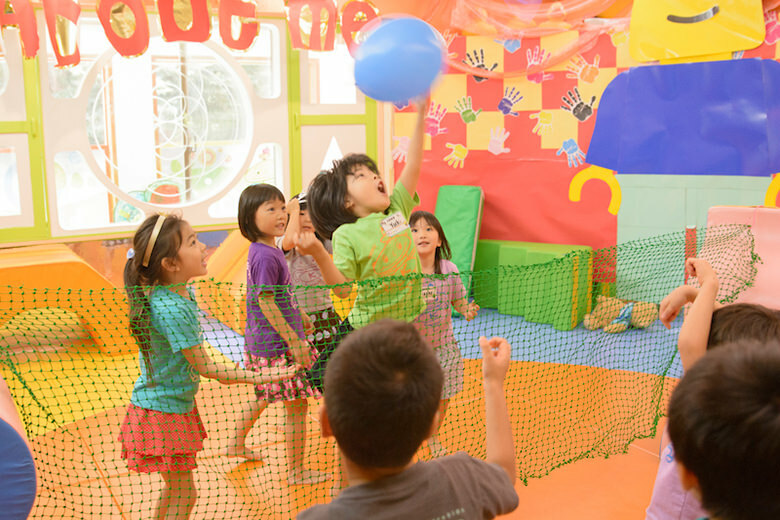 On Saturdays, Kspace opens its doors to give your child a unique English education. 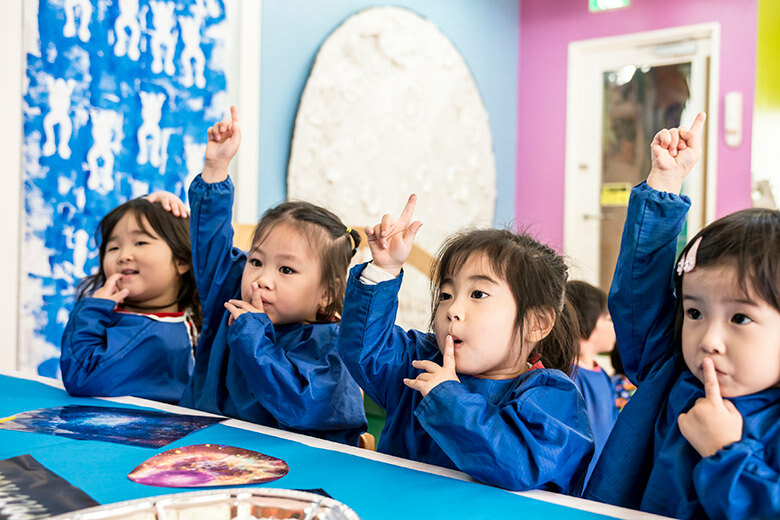 Our students experience and learn language through a fun and appealing range of lessons, in an international school atmosphere. 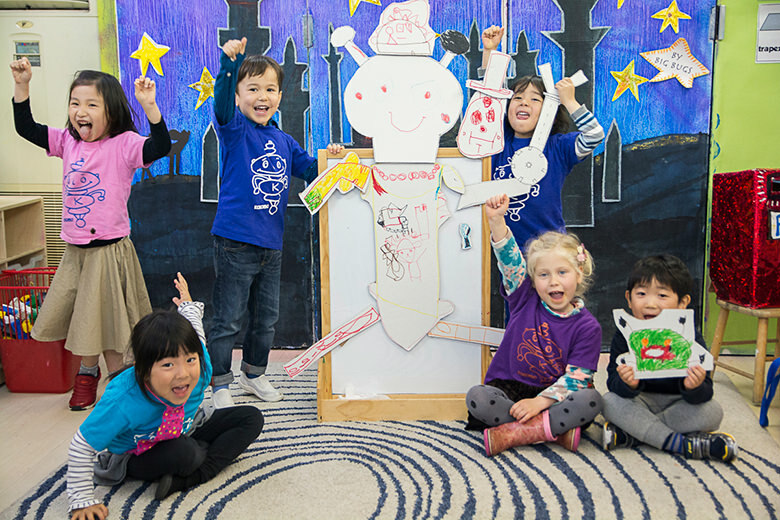 Each session includes a balance of creative, physical and academic activities. Our native English-speaking teachers work through brilliantly designed lessons with wonderful props and materials that bring topics to life! 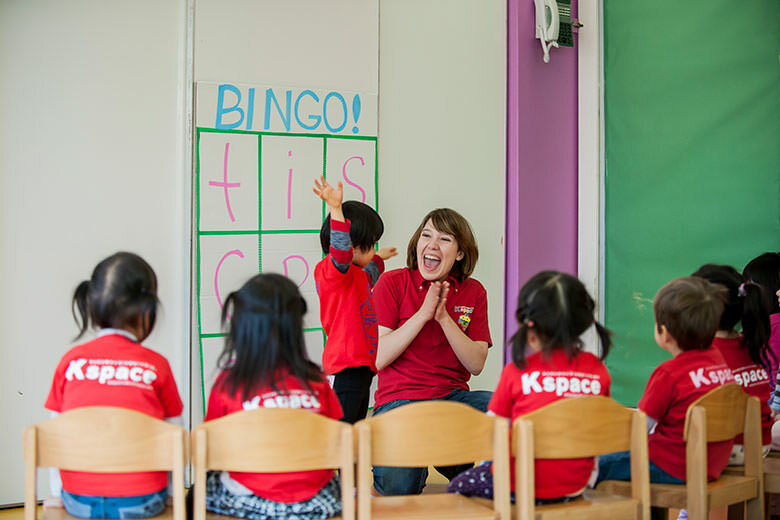 We keep your child happy and fully focused, so they can build the confidence that they need to speak English. Saturday School is open all year round, without breaks. You may enroll at any time. This is a child-only programme. 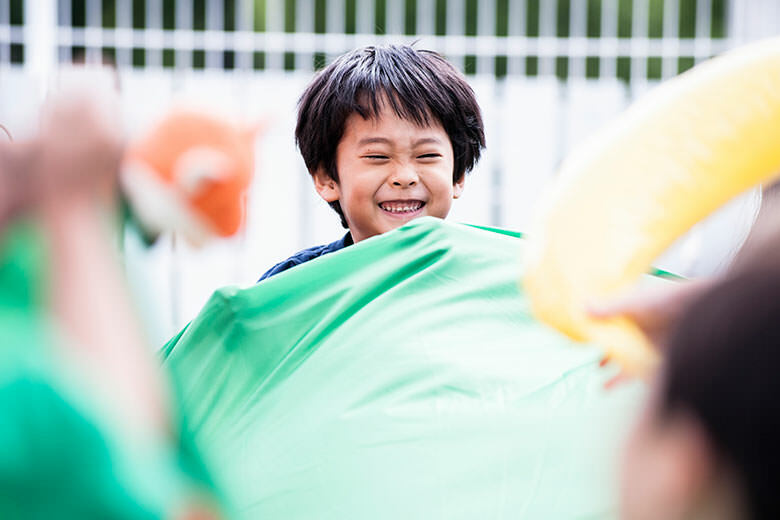 We accept children from 14 months to 10 years old, of all levels of language development: The children spend some periods during the day as a group in their age levels, and at other times we split them into language development appropriate focus groups. *Note: Shining Stars and Shooting Stars classes run from 8.45am to 1.45pm for ease of traffic through the school. Kspace provides meals on Saturdays that are catered by the school. Alternatively, you can send your child in with a packed meal. Click here for more information. The menu for Saturday is a choice of carbonara pasta, tomato sauce pasta with cheese or chicken nuggets with rice. Steamed vegetables and fruits accompany the main meal. Unfortunately we cannot cater for any special diets. Catered meals cost ¥800(pretax) per meal and the snack is inclusive in the fee. Please pack a snack from home if your child stays on for AfterSchool classes. Please provide 1 bottle of water (2 in summer) labeled with your child’s name and a water-drinking bottle. 1 bottle of water (2 in summer) labeled with your child’s name and a water-drinking bottle. Our parents have a VIP Members’ Area. Join us, and you will receive weekly colourful newsletters, full of photos of the classes, weekly mini-videos and theme information. A range of purchasable support CDS items is also available and updates are sent automatically by mail too. 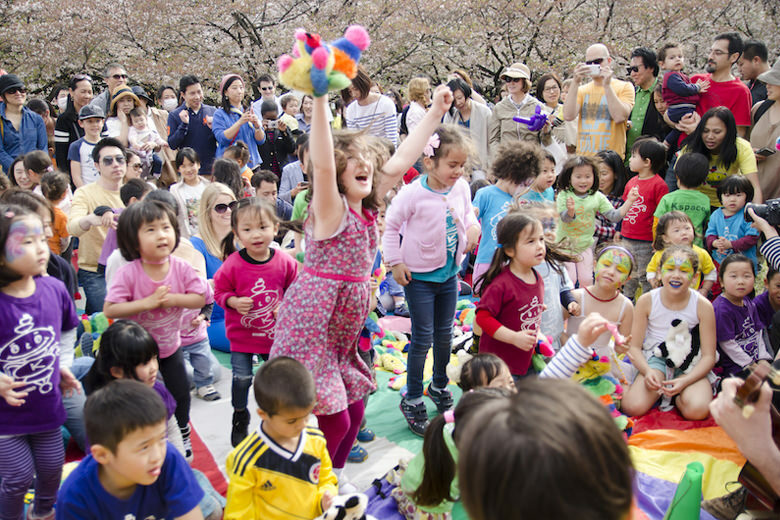 Saturday School families join us for picnics and events too! You will see Kokomo on our school shirts, our web, and throughout Kspace. He is a cute little critter whose personality is like a child’s. Even the ‘K’ of his name stands for Kinder, Kodomo and Kids! Kokomo speaks his own unique language, so he had to learn English right from the start – just like our ESL students. 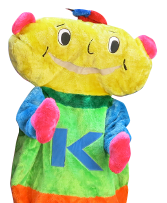 Kokomo is very enthusiastic about children from all countries learning English and he wants to support them all! He lives at the school and joins us for all events and calendar highlights. Come along and meet Kokomo! 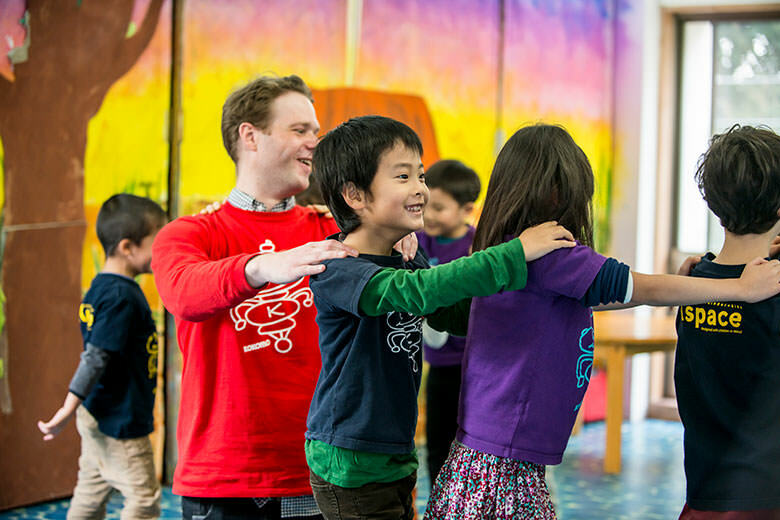 Book a tour and come and see just why everyone is talking about this magical ESL programme. We can walk you around the facility, introduce you to our team and explain more. Experience a slice of V.I.P. education, at one of the best facilities in Tokyo. 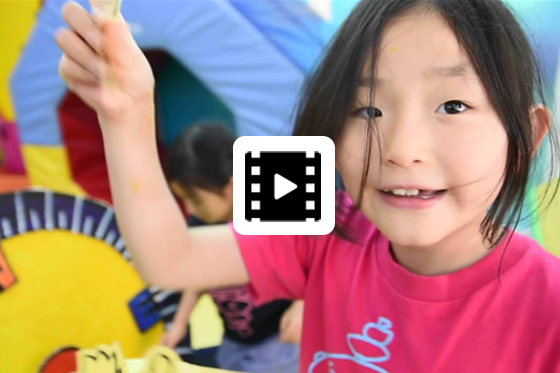 Take a look at our all-school video for Saturday EFL Classes, and also look on the specific page for your child's age group to see more great footage! "As well as the other positive things about Kspace I also wanted to say that I think it’s really great to see teachers and Dept Heads out the front of school at drop-off. I keep meaning to say something when I see you but it’s always a bit of a rush! I suppose some people would consider it a small thing but I think it’s a lovely welcoming touch (especially for the lower school parents who probably wouldn’t see you otherwise) and I appreciate it all the more since it’s SO very cold right now. Well done guys. Regards,"